Memphis-based Plough Foundation has announced the awarding of a $2 million dollar challenge grant to West Tennessee Veterans Home, Inc., (WTVH) for the construction of a local state veterans home. In announcing the grant, Diane Rudner, Chair of the Plough Board Trustees, noted that veterans have special needs when it comes to receiving the long-term care and rehabilitation therapy that this skilled nursing facility will provide. 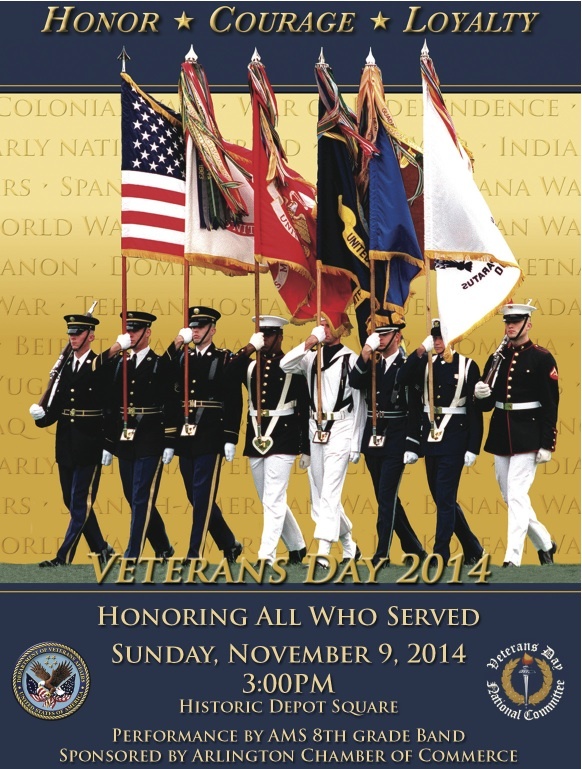 The Historic Post Office in Arlington’s Depot Square will be open on Sunday, November 9, from 1:00 pm – 4:00 pm, with displays honoring veterans. 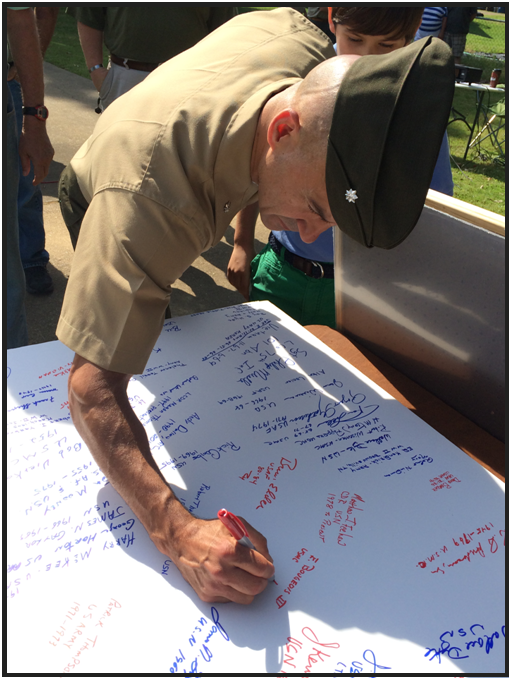 One display will be the boards with signatures of veterans. These boards were first signed by veterans at the Memorial Day Service (sponsored by the Arlington Chapter of the Association for the Preservation of Tennessee Antiquities) at Arlington Cemetery in May 2012. 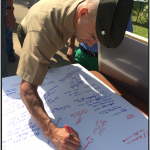 Since then, other veterans have signed the boards, including at the Memorial Day Service last May (photo, above). 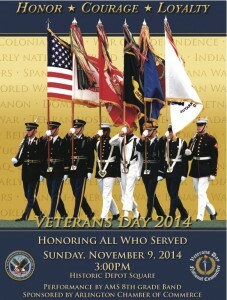 Additional boards will be present on Nov. 9 for other veterans to sign. The Veteran’s Day Ceremony in Arlington’s Historic Depot Square begins at 3:00 pm and features speakers, recognition of servicemen and women, and a performance by the Arlington Middle School 8th grade band. 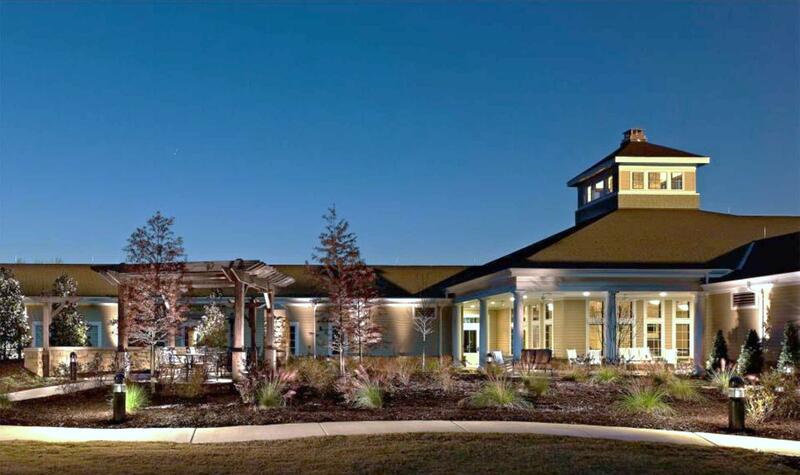 On Tuesday, November 11, Stonebridge Golf Course in Lakeland is offering veterans a round of golf and enjoy a complimentary lunch for only $24. In the event there is a Veteran would like to play golf but can not afford to pay, Stonebridge will cover their round fees for them. For more information, contact the Stonebridge Golf Shop at 901-382-1886. 1) “Stars and Stripes” Seniors 55+ BBQ Dinner, Friday, June 27th at 6 p.m., IH Clubhouse, 4523 Canada Road, Lakeland. Seniors 55+ are invited to celebrate our freedom and friendship at the “Stars and Stripes” BBQ Dinner. Bring a friend, make a friend and spend a wonderful evening eating great BBQ, enjoying conversation and a laugh or two with fellow seniors, and the special program planned by Bertha Payne. Make your reservation today by contacting Rhonda Fink at 867-2717 or email rfink@lakelandtn.org. 2) Head out to Arlington or Bolton HS for some baseball in action as both sites host early rounds of the 2014 Keith Hagan Memorial All American Tournament. Click here for a full schedule; games run from June 27-July1. 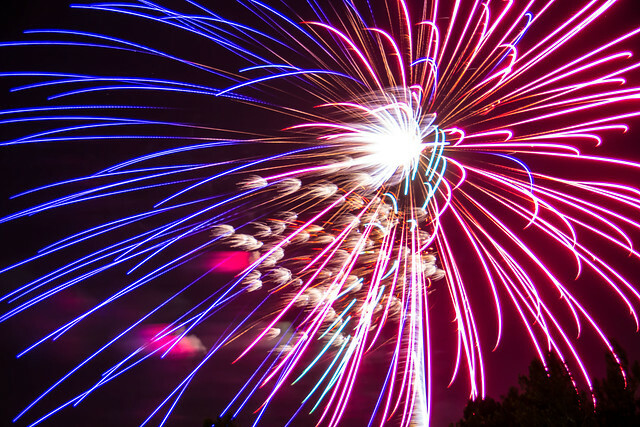 3) UPDATE: Arlington’s Star-Spangled Spectacular is a celebration of America’s birthday featuring fun, food, live music, and amazing fireworks. 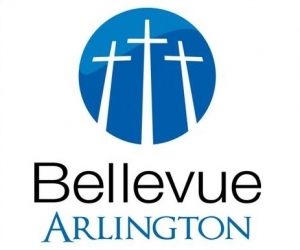 The 2nd annual celebration will be held on Monday, June 30, 2014 at the Arlington Sports Complex on Memphis-Arlington Road. Festivities begin at 7:00 pm, featuring a live DJ, with fireworks starting at approximately 9:15pm. Members of the Lakeland-based bridge club, “Memphis EB Club,” will join hundreds of bridge players across the country to raise money for The Longest Day – an annual fundraising event for Alzheimer’s research held by the American Contract Bridge League and the Alzheimer’s Association. 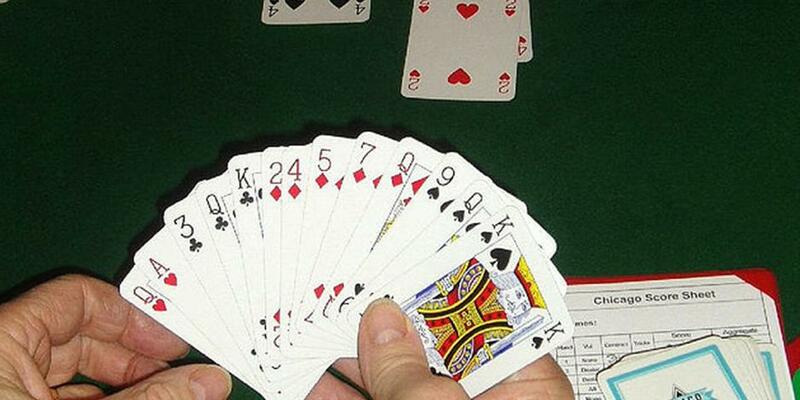 Captain Joyce Stone has set a team goal to raise $1,600 by playing bridge for an entire day at the Lakeland Senior Center on the longest day of the year – June 21. 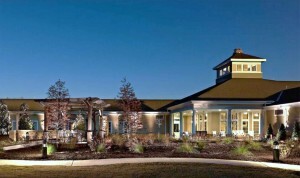 The Lakeland Senior Center is located at 4527 Canada Road. With an average age of 69, ACBL’s members – most of whom play regularly at local bridge clubs – are significantly affected by Alzheimer’s disease. By raising funds as part of The Longest Day program, bridge players are able to honor friends and loved ones who have been stricken with the disease while also keeping their own mental skills sharp, according to the ACBL and the Alzheimer’s Association. This is the second consecutive year that ACBL has coordinated with bridge clubs across the United States and Canada to raise funds for The Longest Day. The sunrise-to-sunset event, which is held on the summer solstice, supports the Alzheimer’s Association by providing much-needed resources for the care, support and research efforts it leads. Last year, 160 bridge clubs across the U.S. raised more than half a million dollars for the cause. In 2014, ACBL is setting its sights on raising $750,000, and it plans to increase that amount incrementally each year as more bridge clubs participate in the effort.